Unexplained Fatigue – Feeling tired after long workout routine or hectic schedule is fine, but diabetes will make you experience unexplained fatigue. When you consume food, it gets converted into glucose that is further used by the cells to generate energy. This process is carried out with the help of insulin. Those suffering from diabetes will have low levels of insulin, hence the glucose would not be utilized for energy generation and may remain unused in the blood causing fatigue. Frequent Hunger Pangs – When the food glucose is not converted into energy, you will experience frequent hunger pangs. The lack of energy and fatigue would give you frequent hunger pangs. Feeling Thirsty Due to Frequent Urination – The glucose in your body passes through the kidney and may be flushed out along with urine. The glucose that is left back would be reabsorbed by the body. When you are suffering from diabetes, the glucose in your kidney won’t be reabsorbed by the body and the kidneys will attempt to flush it out by passing more urine. The person suffering from diabetes would urinate frequently to get rid of the glucose and in a process will be required to consume more water, hence would be thirstier. Dry Skin and Mouth – Due to frequent urination, the body will stay dehydrated. The lack of moisture would leave the skin and mouth dry. When the sugar level raises more, it would also affect the vision by changing the shape of eye lens. If you have been noticing these symptoms then you need to undertake proper screening by carrying out following tests that your doctor would usually recommend. All these tests are recommended by the doctor depending on the symptoms and severity of earlier findings. You may follow the doctor’s instruction properly regarding eating, fasting or drinking before the test to get the perfect finding. Diabetes can damage your body in many ways other than the symptoms mentioned here. 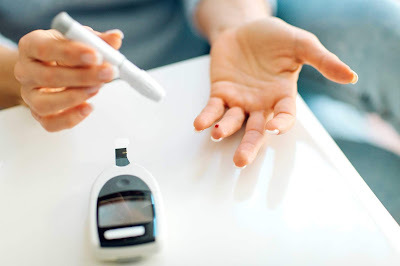 Keep the diabetes in control by detecting it in time, so as to keep the damages in check.